Native to northern Africa and the mountains of the Mediterranean, Mercola.com states that Lavender now grows throughout Europe, Australia, and the United States. It grows as a shrub, and the flowers from it have been used by the ancient Egyptians and Romans for mummification, perfuming and washing. Today, the oil from the flower is put to a plethora of uses. It is used in everything from lotions to perfumes to fragrances for soaps. The most popular use of the oil today is in the essential oils realm. According to Mind Body Green, "Lavender (lavandula angustifolia) is the most versatile of all essential oils." 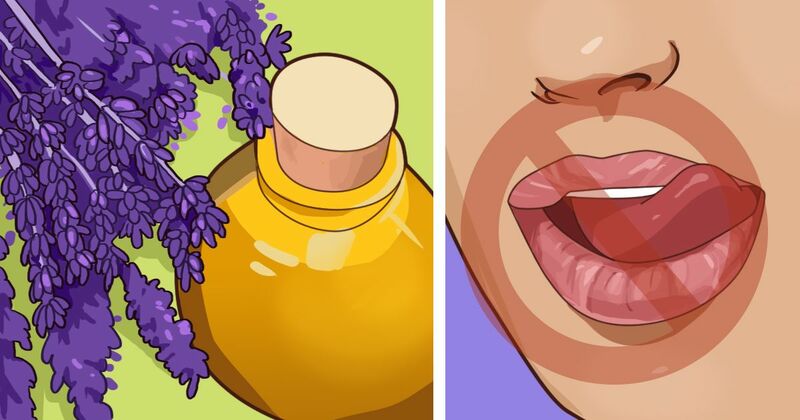 Listed below are 11 unique uses for lavender oil. For those who have problems relaxing and/or falling asleep, Mind Body Green recommends inhaling lavender oil to help you relax and fall asleep. For relaxing, you should place a few drops in you hand and inhale. Rubbing the oil into your temples, wrists and feet is also supposed to be calming. For sleeping, the recommendation is to rub a few drops of oil onto your pillowcase before going to bed at night. If you suffer from eczema or dermatitis, try mixing lavender with coconut oil or some other vegetable seed oil to help relieve the symptoms. Rubbing some lavender oil into your scalp may help alleviate dandruff. Dr. Axe recommends mixing lavender oil with frankincense oil and applying it three times a day to help reduce the appearance of age spots and sunspots. To help treat acne, Netherfield recommends mixing a few drops of lavender oil with a plain cream and applying the mixture to the affected area. Lavender is supposed to be beneficial in killing the bacteria that causes acne. Delight Yourself by Jennifer Schulman states that therapeutic grade lavender oil applied directly to chapped lips or hands may heal them. To aid in the healing of unsightly cuts and burns, Dr. Axe recommends mixing lavender oil with coconut butter in a one to five ratio and applying it to the cut or burn. The antimicrobial properties in the lavender combined with the moisturizing properties of coconut oil are supposed to stimulate the healing process. Schulman states that rubbing lavender oil into bruised areas may stimulate the blood flow and bring relief to the bruised area. For those who suffer from motion sickness or nausea, Mind Body Green recommends trying lavender oil. Simply place some on the tip of the tongue and behind the ears. Netherfield recommends rubbing the oil onto the abdomen or applying it with a warm compress to the abdomen to help alleviate uncomfortable menstrual cramps. Since insects supposedly despise the scent of lavender, spraying yourself with lavender oil should work as a natural insect repellent. Lavender is a beautiful plant with many amazing uses. For those who enjoy the scent of the plant, grabbing some lavender oil to use around the house may prove to be beneficial and permeate your home with a wonderful odor at the same time.